The 2018 Cronulla Spring Festival continues its success story as the most popular community event in the Sutherland Shire after attracting an estimated 40,000 people over the weekend (8 – 9 September 2018). It was the 32nd edition of the beachside community festival that is the Sutherland Shire’s biggest annual community event and organisers of the event, Atomik Productions, delivered a memorable Sprint Festival weekend, including live entertainment, international food stalls, movie night, artisan stalls for shopping, kids zone, fitness sessions and much more. The festival zone at Monro Park and Mall were buzzing with visitors, especially when the sun came out on Sunday. “We had some unfavourable weather on Saturday but that didn’t dampen the numbers over the weekend,” Atomik Productions CEO Thomas Staunton said. Highlights included the visit of Prime Minister Scott Morrison, a Shire local, who was greeted by a cheering crowd and never grew tired of posing for photos with the locals. Selfies were also popular with 7 News Sydney news anchor Mark Ferguson and the interest strong to have a sneak peak behind the scenes of the 7 News Sydney productions. Busk for a Cure artists were performing live music acts across the festival for a good cause with 100% of the donations going to the Australian Kookaburra Kids Foundation. $567.05 were raised over the weekend by the buskers and will go to the support of children living in families affected by mental illness. Children were a strong focus of the overall event and the kids zone with face painting, giant slides, rides, petting zoo, jumping castle, Cronulla Sharks have a go and live music continued to be a hit amongst the youngest festival visitors with numbers doubling compared to last year. 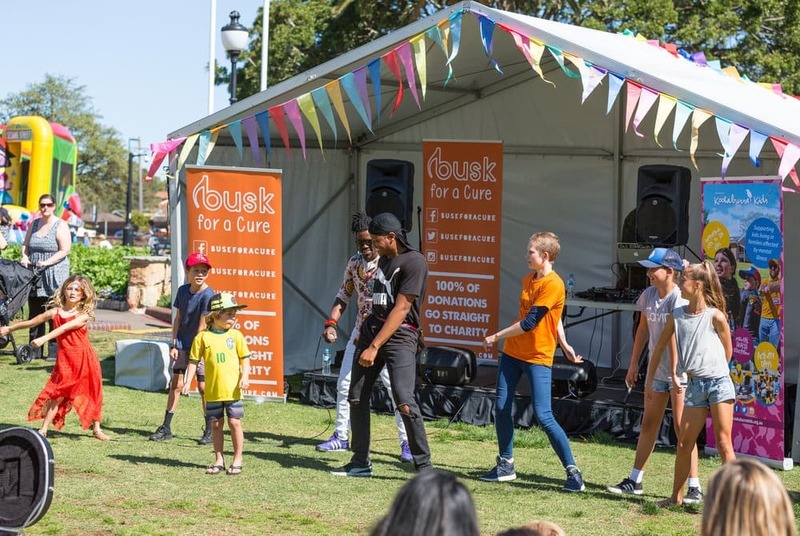 Performances at the Cronulla Mall Stage were also at a record high with around five hundred performers from community dance, music and sporting organisations showing off their talents across the weekend. There were also many firsts and one of them, the Base Zero mobile rock-climbing wall, was a smashing hit and encouragement for organisers Atomik Productions to continue introducing new features to the ever growing festival. “The weekend was a great success and we were thrilled to see such a crowd despite the challenging weather on Saturday. This was our second year delivering the event after we were awarded the organisation of the event from the Sutherland Shire Council last year, and the positive feedback has been overwhelming, Kim Voss, Managing Director Atomik Productions said. 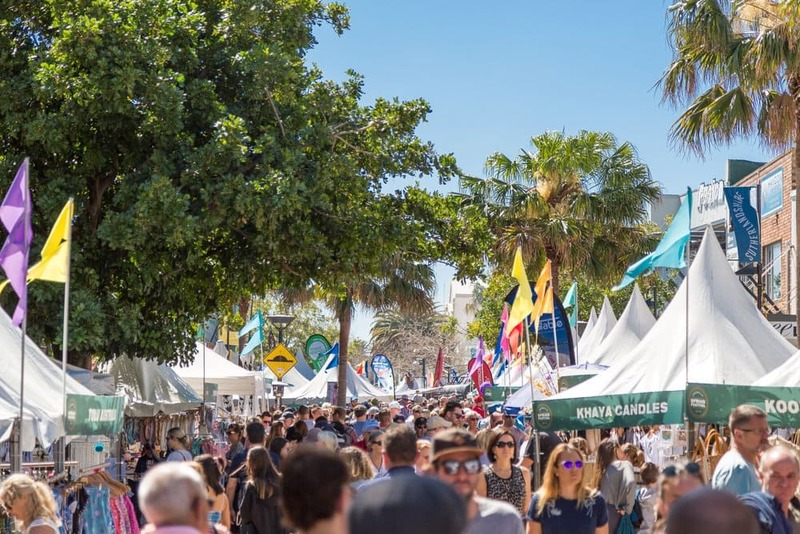 Next year’s Cronulla Spring Festival will take place on the weekend 7-8 September 2019. The festival was run by atomik productions, who are part of local Shire company Sold Out Event Management and was supported by the 2018 event partners Stewart Toyota and Highland Property as well as event supporters Sutherland Shire Council, 7News, Shire Talk, Transform 40, Fleur Events and Sold Out Event Management. 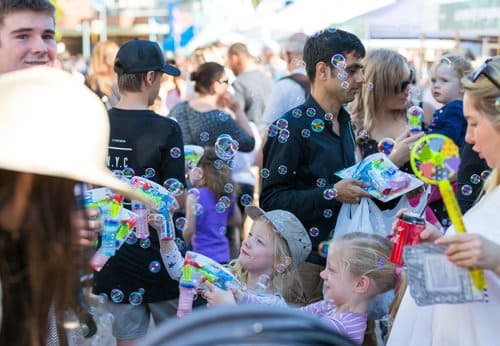 Stall holders, food vendors and performers, who are interested in getting involved with Cronulla Spring Festival in 2019 are encouraged to keep an eye out for the call for Expression of Interests expected to go out next week.